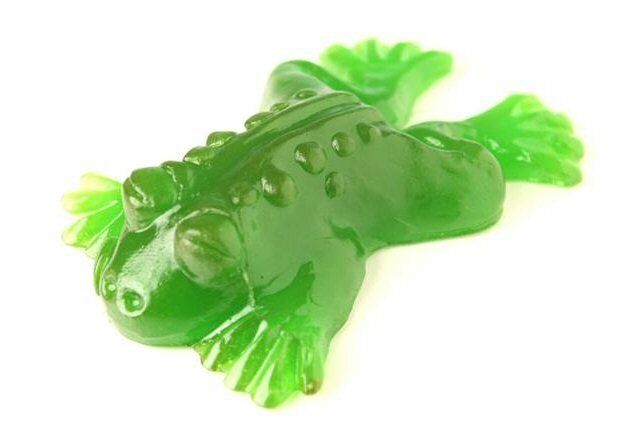 These gummy frogs weigh approximately 1/2 a pound and are made right here in the U.S. 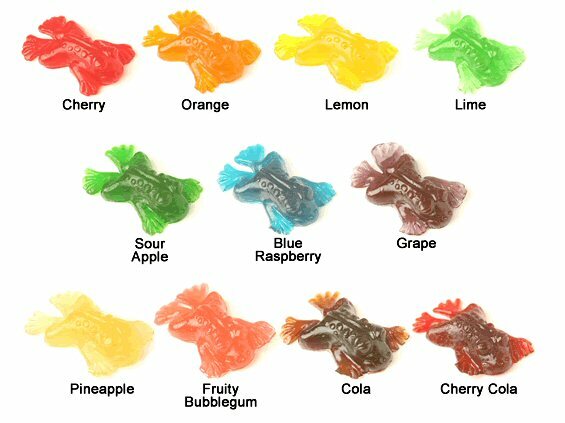 The great tasting flavors available are cherry (red), lime (light green), sour apple (dark green), blue raspberry (blue), cherry cola(red/brown). 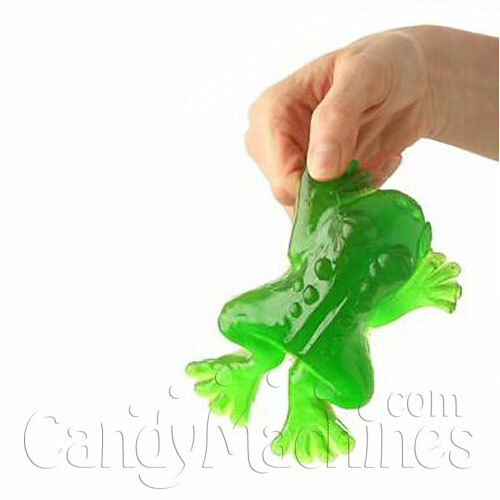 These Giant Gummy Frogs are gluten free and have a 1 year shelf life.